When it comes to Máax, the God of Truth who refuses to follow the rules, there's more to him than meets the eye. Literally. Because Maáx is invisible! Which is probably why, after seventy-thousand years, he's still unable to find a mate. Because Máax has one teensy challenge. He's invisible. And every time this impatient, powerful deity gets anywhere near Ashli, he spooks her right into harm's way. Meaning...she dies, and he has to start all over again. Cliff, banana peel, runaway storage container filled with Belgian chocolates, bee sting, the list goes on and on. Does the Universe have it out for this girl? Sure seems that way. But why? And what will Máax do when he begins to suspect that not only is Ashli the key to stopping the apocalypse, but she may be "the one" he's been waiting seventy-thousand years for. 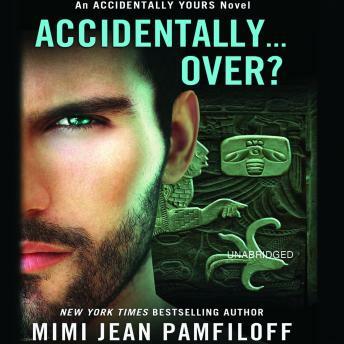 The Accidentally Yours Series BOOK 1: Accidentally in Love with...a God? BOOK 2: Accidentally Married to...a Vampire? BOOK 3: Sun God Seeks...Surrogate? BOOK 4: Vampires Need Not...Apply?